at a small local race as a kid. 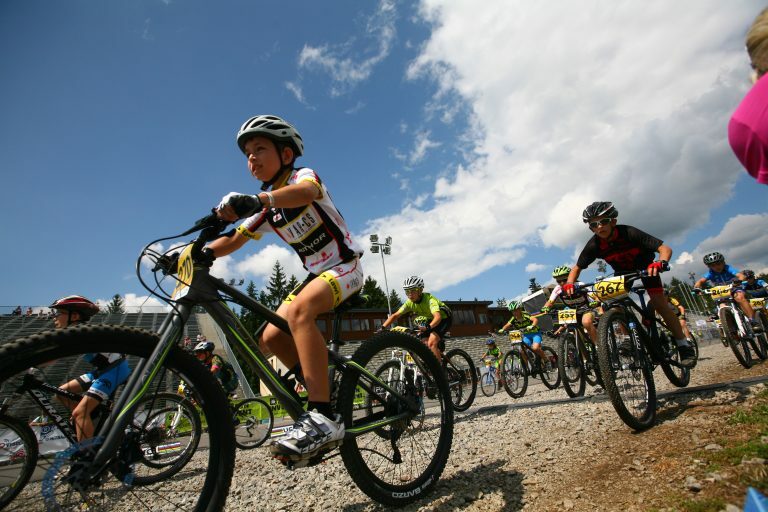 When watching the pros race, it is easy to forget that every single one of them was taught to ride a bike by a friend or guardian, and probably got their first taste of competition at a small local race as a kid. For some though, the thrill of winning is an immediate addiction and can spark a lifelong passion for a sport. Anyone who has attended a world-class sporting event knows how contagious the spirit in the air can be, but they might be surprised to find the same degree of passion present at an amateur or children’s event. 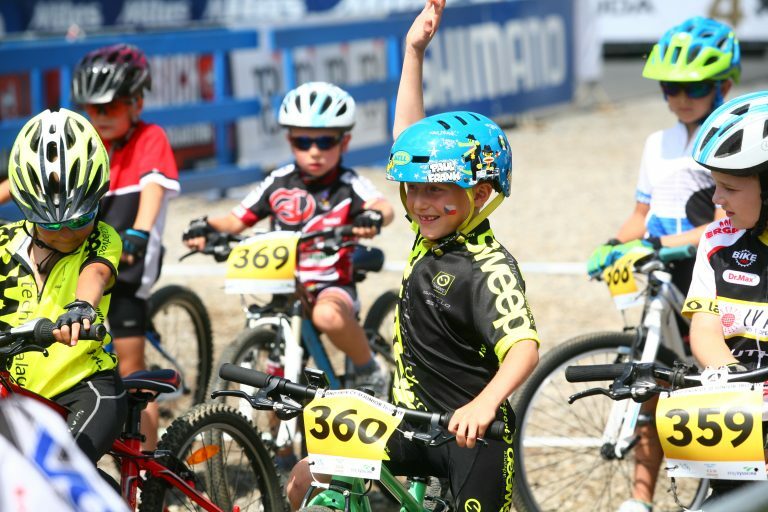 As the children’s race at the 2016 UCI MTB World Championships demonstrated, these kids pour their hearts and souls into doing their best. 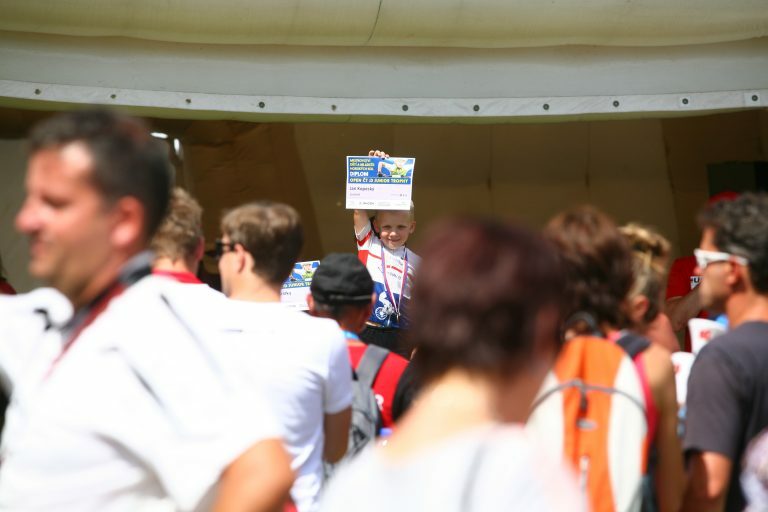 Enhanced by the overall feeling of enthusiasm, the cheers from the spectators were just as loud and passionate as those heard on the sidelines of the Tour de France. An atmosphere bursting with potential, the determination shown at such a young age is admirable to say the least. You can tell that these children already have a solid sense of their strengths and weaknesses and are dedicated to pushing their limits. 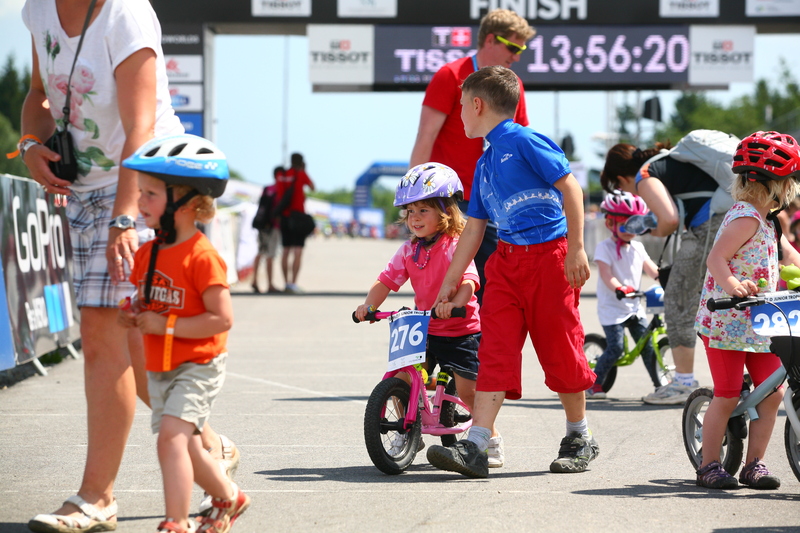 Part of the larger cycling community, you can also see them building the next generation of their sport. The support and friendship among riders is powerful and you can tell they respect their fellow competitors. 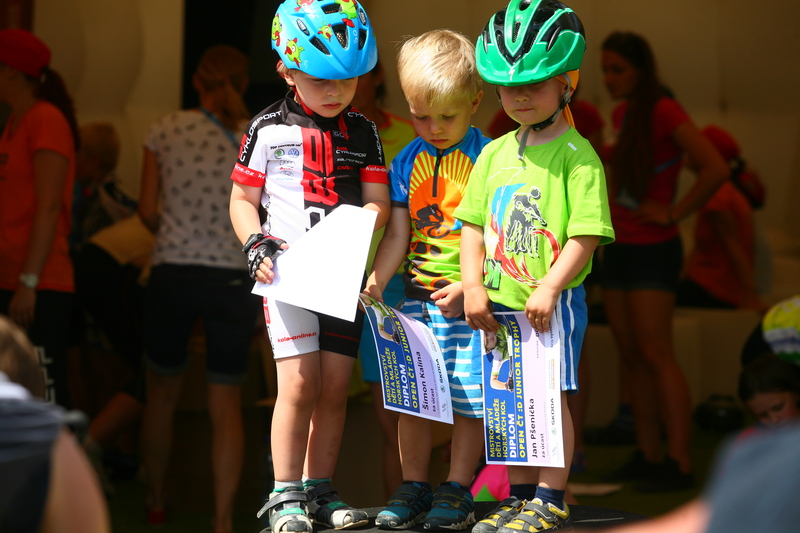 Even though everyone can’t make it to winners’ podium, the feeling of accomplishment that comes from participation and doing one’s best is visible one the faces of all the children. The support from the parents is also crucial, although talent and hard work can take you a long way, an encouraging family can make all the difference. Having someone to reassure you when things are tough and celebrate your victories with you is crucial at this age. As one mother remarked, “I’m honest with my son and I tell him the truth when I think he’s made a mistake. That being said, the fact that he enjoys himself is my number one concern. 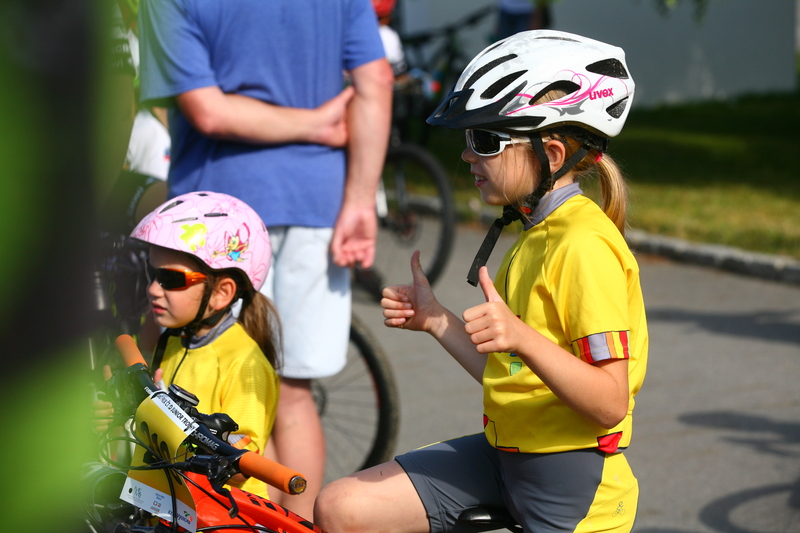 I have no doubt of the huge fulfillment cycling will bring to his life, and I make sure I tell him that too.” A testament to the fact that cycling brings people together, people of all ages come and soak in the atmosphere of such an event. 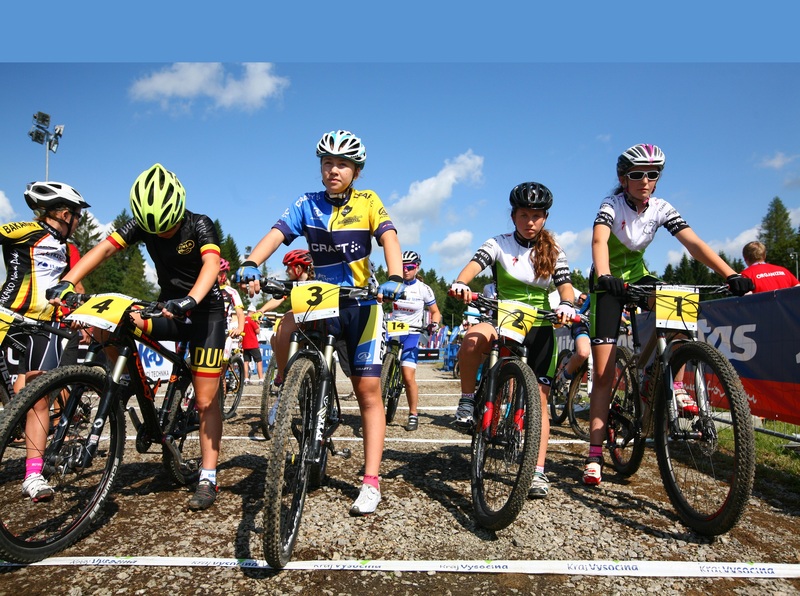 Most of all though, watching young people race is a reminder of the crucial role sport plays in helping to develop self-esteem and a healthy outlook on life. 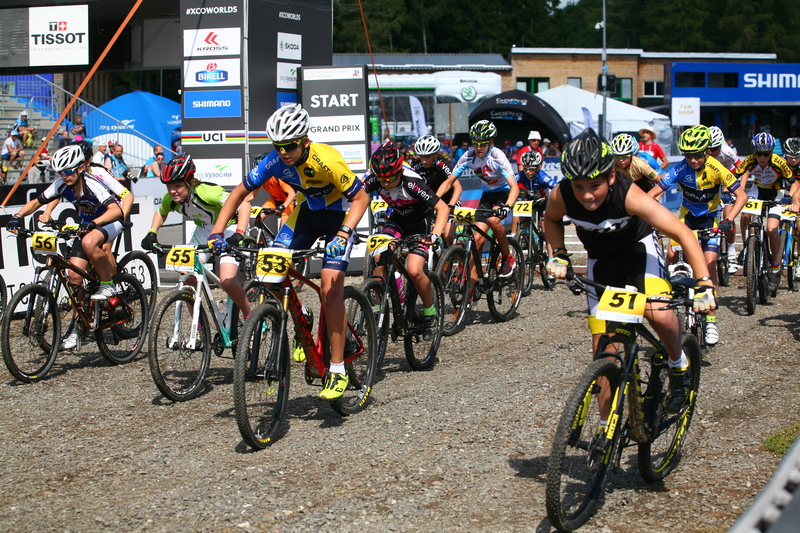 The determination shown by these fierce young competitors is a promise of things to come. Who knows? 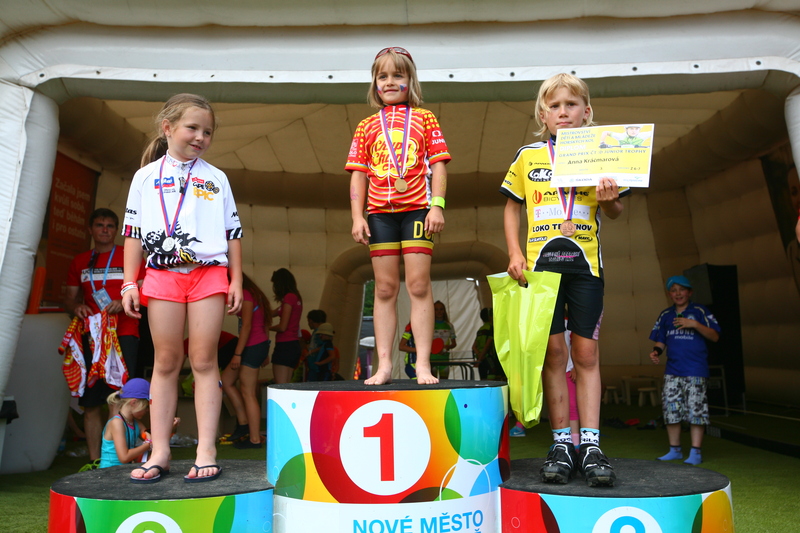 Maybe one day the podium they are stepping onto will be at a World Tour event.